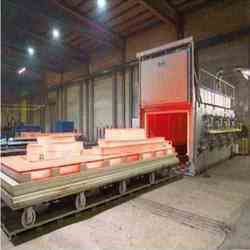 We are the best known manufacturer and exporter of the high quality of Car Bottom Furnace. 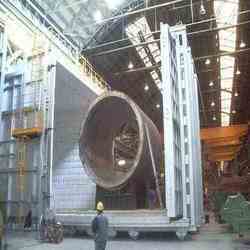 We provide our esteemed customers with Car Bottom Furnace of the finest quality. Our products are high in strength and very efficient since these products are produced with the help our vendors, offering finest materials. Moreover, we have a team of highly experience professionals and advanced machinery involved in the manufacturing process. These products are thoroughly quality checked to ensure perfect finish and the satisfaction of our clients. Owing to the technologically advanced manufacturing facilities, we have been able to offer a wide range of Car Bottom Furnace which are available with high speed operating feature. These are manufactured using excellent quality raw material with employing latest machines and tools. The products we offer are developed by a team of diligent experts, following industry laid norms and guidelines.